The warm, dry weather and the rust-colored landscapes of Phoenix and Scottsdale provide beautiful settings for vacationers year-round. The stunning desert backdrops of these Arizona destinations are sure to take your breath away time and time again, which is why Phoenix and Scottsdale should both be on your vacation bucket list. During your time in Arizona, you can explore the beautiful desert surroundings by hiking some of the state's best trails or you can indulge in a relaxing vacation by checking out one of the area's top-rated spas. No matter what you have planned for your time in Phoenix and Scottsdale, you should work with Vacatia to book your stay at one of the top studio condo rentals in Phoenix or at one of the best studio condo rentals in Scottsdale. Vacatia provides travelers with impressive selections of vacation rentals in some of the world's most popular vacation destinations, including the beautiful Arizona cities of Phoenix and Scottsdale. If you want to soak up the warm desert sun and bask in the beauty of the natural surroundings, work with Vacatia to find the perfect vacation rental for your Arizona getaway. Arizona is a haven for those seeking sunshine and natural desert beauty, which is why so many travelers flock to Phoenix and Scottsdale during the winter months. While these destinations are ideal year-round, they are most popular during the cooler months from fall through spring, when the weather in Arizona is dry, warm, and sunny. Due to its idyllic weather, Arizona attracts visitors looking to explore the picturesque desert landscapes as well as soak up some R&R at a resort or at a spa. Both Phoenix and Scottsdale are home to great hiking as well as terrific resorts and spas, and you can make the most of your time in Arizona by booking your accommodations through Vacatia. 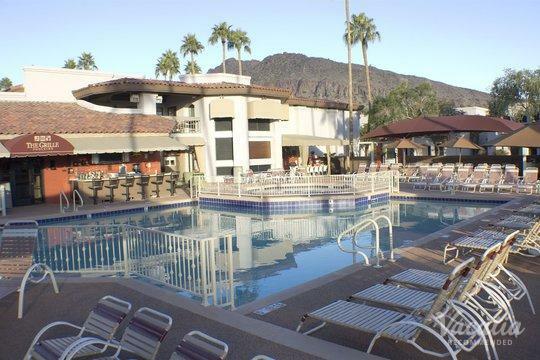 If you're looking for the best studio vacation rentals Scottsdale has to offer, you're sure to be immediately impressed when you browse Vacatia's impressive selection of rentals. Whether you're planning to stay a few days or a few weeks in Arizona, Vacatia can help you book your stay at one of the best studio vacation rentals in Phoenix. These vacation rentals feature the comforts and conveniences of a home, such as a kitchen, as well as the services of a resort, which means that your time in Arizona is sure to be unforgettable. 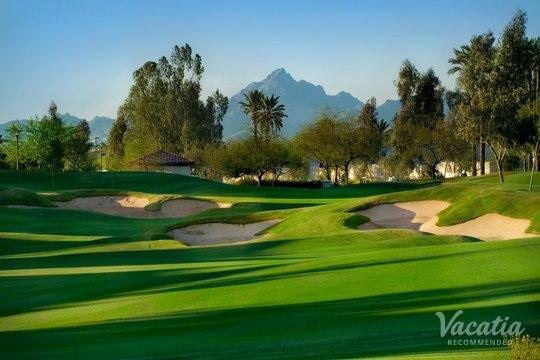 Situated in the Arizona desert, Phoenix and Scottsdale are drenched in sunshine year-round. Due to the sweltering temperatures during summer, visitors tend to experience the best of Phoenix and Scottsdale during fall, winter, and spring. These cities are home to great hiking, restaurants and shopping, and quality resorts. 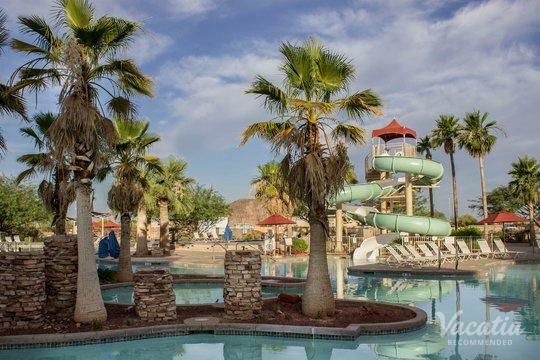 So if you're searching for the best short term condo rentals Phoenix has to offer, work with Vacatia to plan your Arizona getaway. 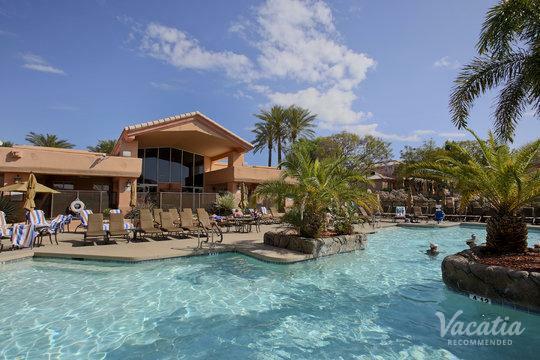 There are a number of quality short term condo rentals in Scottsdale, and Vacatia can help you find the perfect home away from home for your Arizona vacation.